As much as the original releases of Pokémon Ruby and Sapphire served as jumping-off points for players of the original Game Boy games following the franchise’s otherworldly popularity in the late 90s, the gemstone duo is recalled fondly nonetheless for its alterations of the series formula. As remakes that have been ardently sought after by fans for half a decade, then, the 3DS’ Pokémon Omega Ruby and Alpha Sapphire are shouldering their fair share expectations. Since announcing the pair of games however, Nintendo has begun billing them as “new experiences” in advertisements and the like. This is important to recognise because it absolutely rings true. 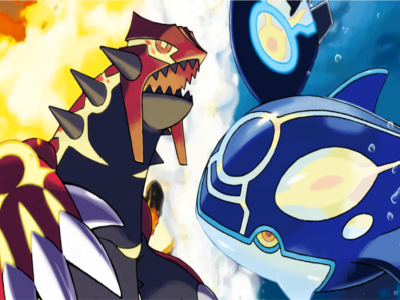 While Omega Ruby and Alpha Sapphire do aim to replicate the successes of the originals on a fundamental level, the collision of more expressive visuals and gratuitous alterations make them the most progressive remakes Game Freak has ever attempted. 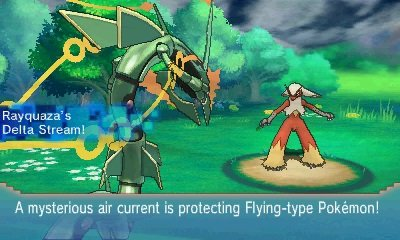 Utilising the same engine as Pokémon X and Y, the games incorporate all the requisite features from the modern iterations of the series. 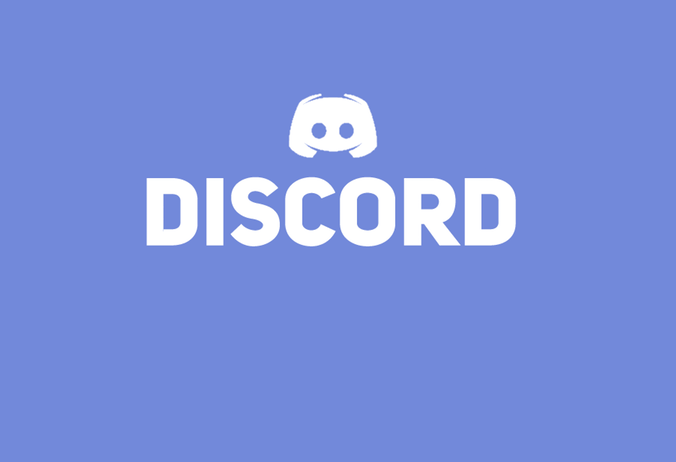 You’ve got Mega Evolutions, creatures from the newer games, always-on Internet options, and loads of behind the scenes technical tweaks (namely the divorce of physical and special attacks from their typing; that’s a game-changer for the still-thriving competitive scene). The bulk of the game’s content is similar in nature to the original Ruby and Sapphire with new features added in. The keyword there is similar, however. Make no mistake; these games are not remotely as true to their source material as past Pokémon remakes have been. When Game Freak sought to enhance its former works before, it recreated its worlds faithfully with the expected new features and enhancements interspersed to spice up the recipe. With Omega Ruby and Alpha Sapphire, just about every element has been toyed with in some regard from the games' overhaul of general events and storyline structure to great chunks of the world map to additional features that weren’t even in X and Y. 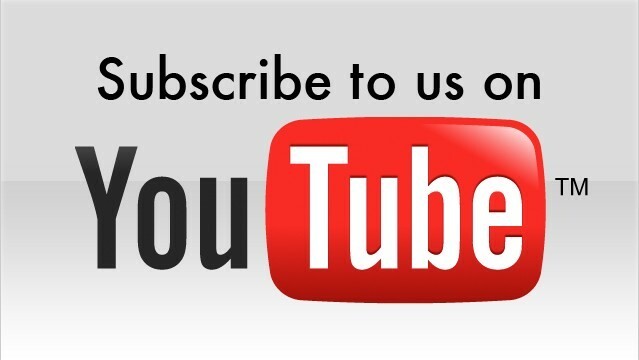 In other words, there are more changes than ever and those changes are overt in every respect. Frankly, I’m thrilled the developers opted for greener pastures. Having personally journeyed through the Hoenn region upwards of three times between the Ruby, Sapphire, and Emerald versions, it’s refreshing to see that the landscape’s makeup throws in the occasional screwball whenever things seem a touch too familiar. Cutscenes and character conversations give the game a very unique vibe at times as well, showcasing a greater range of emotion than past titles have allowed for with their limited sprites. The games feel more cinematic but not to the point of being some soulless Hollywood production. Careful attention to detail allows the games to flourish in ways not previously possible without marginalising the essence of the original material. Quality of the games as remakes aside, playing through Omega Ruby reminded me why it was this line of Pokémon games that made me truly fall in love with the series. I mentioned in my review of Pokémon X and Y that those titles were structured around capturing great quantities of Pokémon and bringing things back to basics, but Alpha and Omega are as different as, well, alpha and omega. The voyage doesn’t need to be a straightforward romp from gym to gym with grassy regions in between thanks to a surplus of secret caverns, legendary Pokémon, and sidequests that X and Y were starved for. 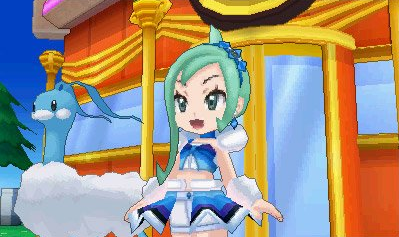 I’m not fond bloating a game with content for the sake of artificial value and shifting its original focus as a result (battling in the case of Pokémon), but virtually the entirety of Omega Ruby and Sapphire’s optional material is inspired. You’ve got Pokémon contests that shift the goalpost to recognising the sidelined cuteness of all the cuddly creatures that brawl in our stead (rather than beating the stuffing out of one another with planet-levelling explosions), delightful brainteasers in the form of the dreaded Trick Master’s puzzle rooms, and secret bases for players wanting to inject the game with their own creativity. 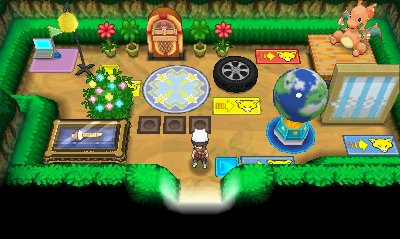 The latter feature is probably my favourite that didn’t make the cut in X and Y, as these little areas let players team with and combat fellow human trainers whilst designing a humble abode to show up in the games of others, which produces a great sense of discovery during the main quest. All these seemingly minor features are ultimately what define the Ruby and Sapphire experience for me and I wouldn’t have it any other way. At the same time, the developers have now ensured that the addictiveness of assimilating new creatures isn’t forgotten, courtesy of an application that occupies the 3DS’ bottom screen. You’re given detailed information about how many Pokémon you’ve nabbed in a particular area. Should you nab all the ones roaming in the grass or water, you’re rewarded with a little crown icon denoting your success. It seems like a small addition – and it is – but there’s an unexplainable joy in running through multiple consecutive routes with a visual representation of the player’s efforts staring back. Lastly, Alpha and Omega build nicely off the established lore, tying up the inconsistencies of the originals and introducing new mysteries accordingly. I very nearly did a spit take upon arriving at one city until I recalled that the very reasons for this change existed in the original and likely didn’t make it back then due to time constraints. It always pleases me to see minor, forgotten aspects of a game’s vision finally come to fruition. Don’t let the fact that these new games are remakes dissuade you; Pokémon Omega Ruby and Alpha Sapphire play off all their predecessors in the most wonderful ways, creating a sprawling adventure that allows the player to divulge from standard series fare without discouraging the normal mechanics either. Each little diversion, combined with the water-heavy theme, makes this game feel like a vacation in a land of childhood wonder. Just enough has been done to preserve the spirit of the original games while making these entries feel like a legitimate part of the current Pokémon ecosystem. Game Freak and Nintendo have taken the main Pokémon franchise about as far is it can go, short of actually evolving it. Item Reviewed: Review: Pokémon Omega Ruby and Alpha Sapphire (Nintendo 3DS) 9 out of 10 based on 10 ratings. 9 user reviews.